Welcome to GG's Cottage in the heart of wine country. Ideal for a couple or small family, this pet-friendly cottage has everything you need for a relaxing, stress-free vacation in Paso Robles. 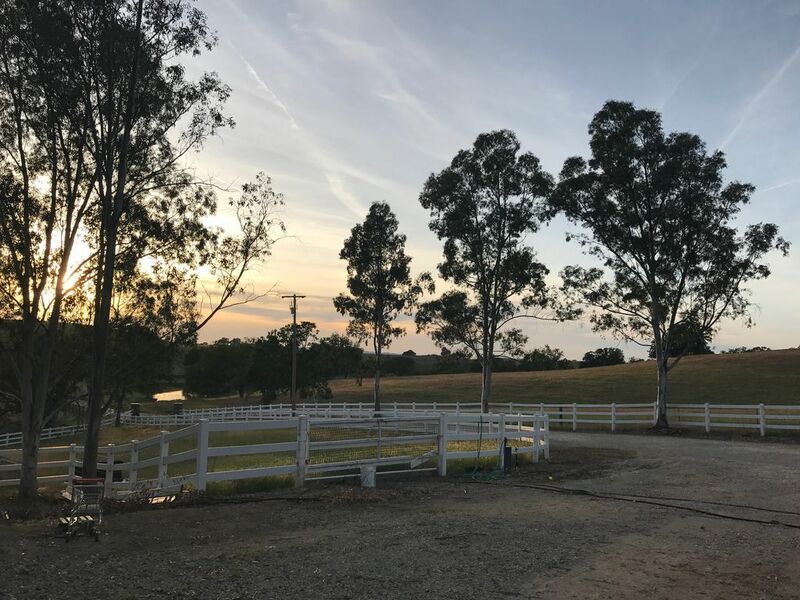 Nestled on our private, gated, 5 acre property, this large 1 bedroom 1 bath guest house has beautiful country views, is a short drive to wine tasting and 10 minutes from town. Kitchen fully stocked with all of the appliances and tools you need to cook. Private backyard with picnic table and BBQ. Shared pool (unheated) area with hot tub and outdoor fire pit available for your use. A bottle of wine will be waiting for you! As a native of Paso Robles, my husband and I love to share our hometown with our guests. Parents of two kids, ages 5 and 8, we're a busy family on the go. We work in the wine industry and are happy to suggest/recommend any wineries or local activities. Sheets, blankets, pillows and comforters for all beds (queen, two twins, sofabed and air mattress). Sheets and blankets for Pack n Play. Paper towels. Salt, pepper, olive oil, some seasonings. Ziploc baggies. Our kitchen is well stocked with appliances and pots and pans. Cooking and BBQ utensils, measuring cups, etc. Baking sheets and pans. Coffee grinder, tea kettle, blender, small crock pot, rice cooker. Bookshelf has plenty of books for your use during your visit. In the media console, underneath the TV are board games and puzzles. Basket in the closet with children's toys and books. You'll have a separate entrance/gate into the pool area. The pool is not heated, but the electronic pool cover keeps the water warm in the hot summer. Clean and cozy! Super comfortable bedding. Lovely setting. Safe. Quiet. Could not ask for a better place to enjoy a getaway! Great place, super clean and best of all really quiet! Great place for the dogs because there weren’t any fireworks! Property was very nice. Spacious, clean and very comfortable. We really enjoyed our stay. We have been visiting Paso for over 12 years and have stayed at various VRBOs. This is now one of our favorites! Very nice and spacious guest house with wonderful views, good energy and engaging surroundings. From the red-tailed hawks and herons to the the kit foxes and resident goats/sheep/dogs, the stay was wonderful and the opportunity to take a dip in the pool refreshing! We had a great time in and beautiful place. The kids loved the outside and had fun at the pool. Great place for 2 big dogs.